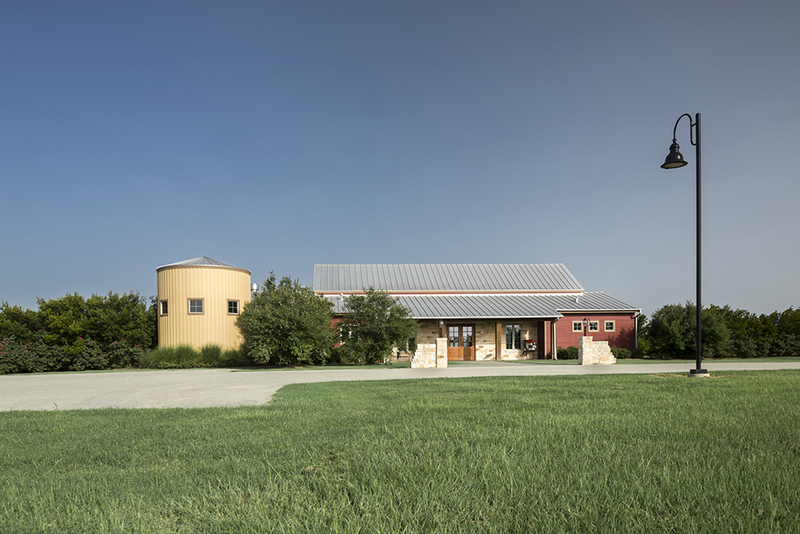 The Arkitex Studio was contracted to provide a master plan for the newly acquired Burleson County pecan farm, Royalty Pecan Farms. 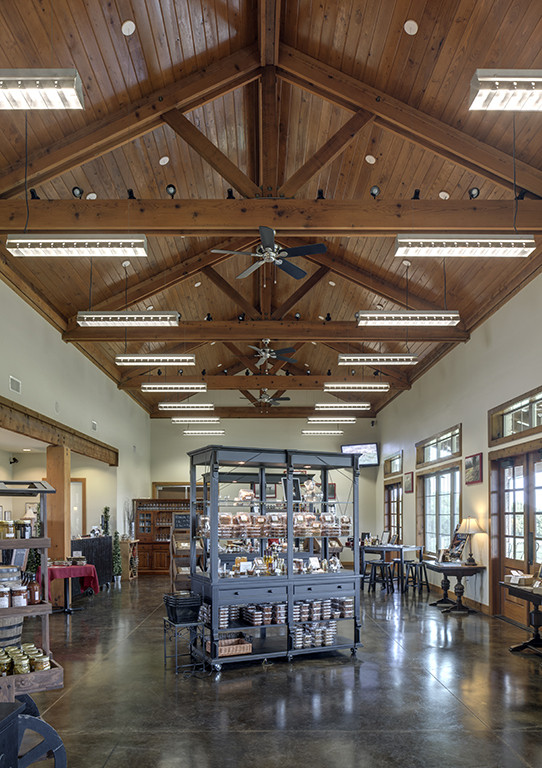 With the Owner looking to expand the facilities beyond growing pecans, the Bryan-College Station architects proposed a master plan that included new retail/visitor center, bed and breakfast retreat, conference center, restaurant, and interpretive trails to expose visitors to the history, culture, and production of pecans as well as the flora and fauna of the region. The first building to be designed and built was the visitor center. 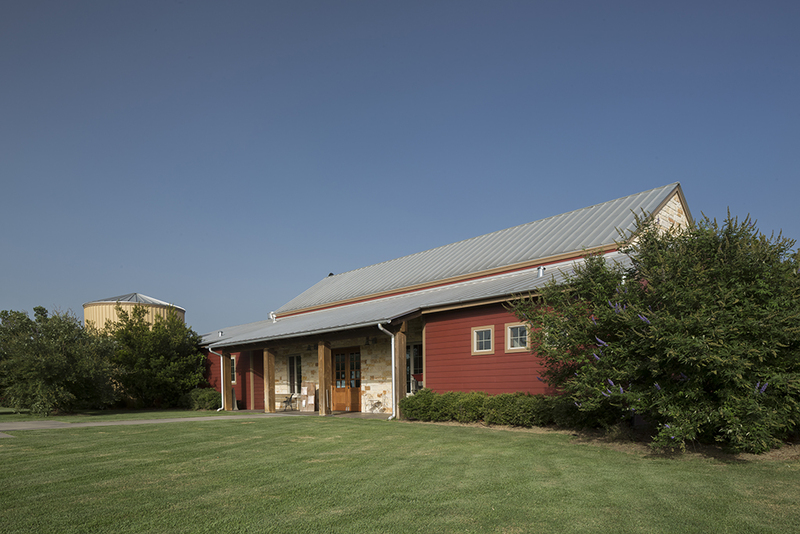 This 3,600 square-foot building has an open retail sales/event/dining area, main office, kitchen, and production area for packaging and shipping their crunchy produce. 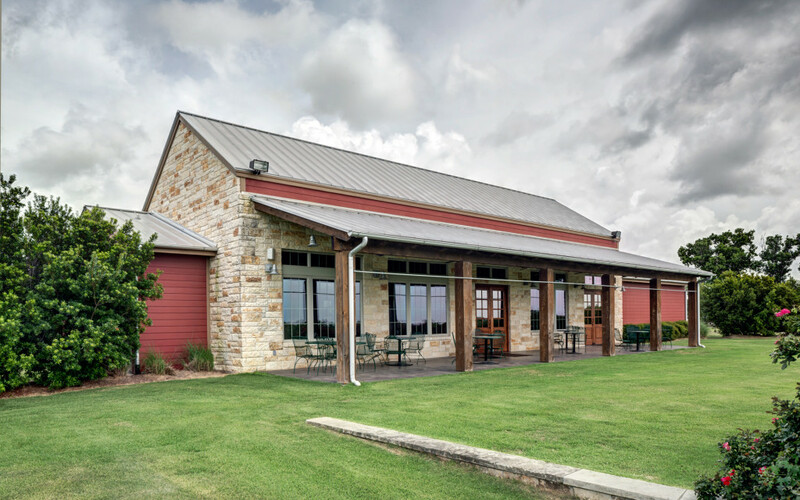 Located on the top of a bluff overlooking the orchards the structure reflects the agricultural nature of the industry, while providing elegance and aesthetic appeal. French doors open onto the large veranda to collect the southern breezes during the summer and allow the dining area to expand onto the veranda and associated plaza area. The plaza is designed to accommodate large weddings, parties and industry meetings.